Android KitKat is upon us but, only if you have a Nexus 5. 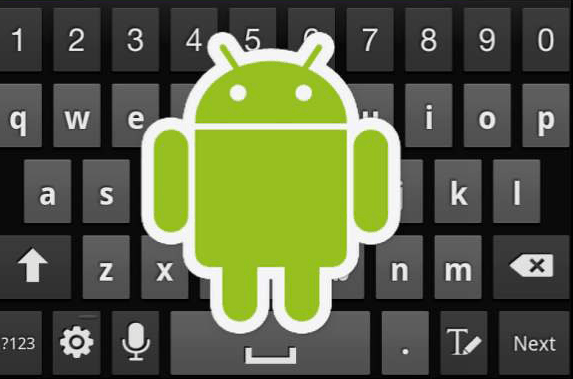 But you can install the new keyboard on virtually any Android device you have now, here’s how. Android KitKat is upon us but, unless you have a Nexus 5 on your hands, you’ll have to wait until you can play with it — details about the new Android version here. 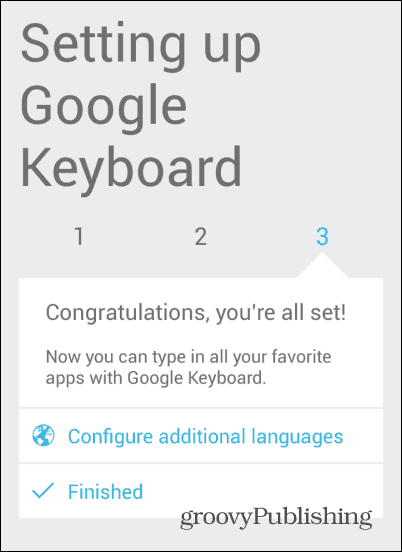 Still, you can already install the new Google keyboard, to almost any Android device. Here’s how to do it. To start things off, download the APK file for the new Google keyboard from here, courtesy of the guys at Android Police, that have managed to get their hands on it. Save it to your computer and then copy it to your Android device — or you can access the link from your phone or tablet. 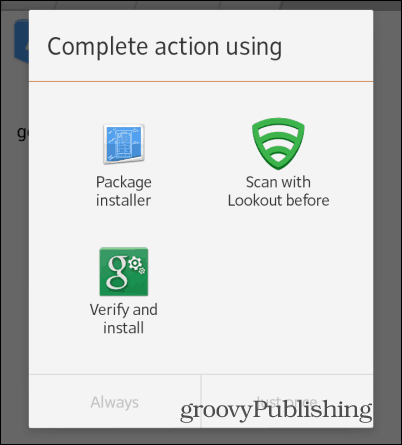 Now, before doing anything else, make sure that your Android device is allowed to install apps from unknown sources. If you’re not sure if it can do that, here’s how to find out or enable the option. Now, run the APK file you’ve copied to your Droid after you’ve found it using a file manager. I personally use ASTRO File Manager, but that’s entirely up to you. 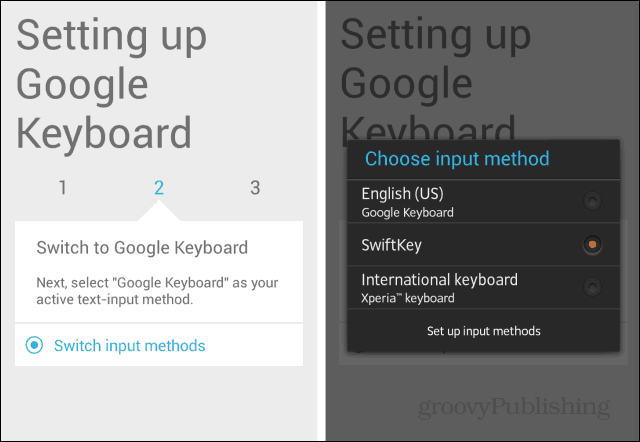 After the installation process is done, you will be taken through a very basic tutorial which will help you set up the new Google keyboard. 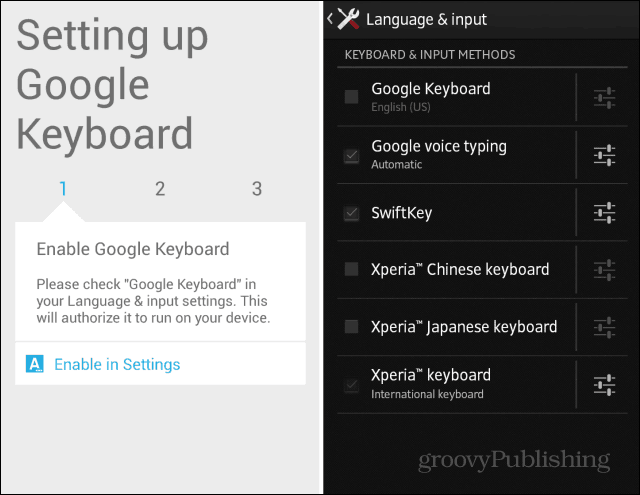 First, it will help you enable the Google Keyboard to run on your Android device. Just tapping the buttons Google has provided will send you to the appropriate settings. 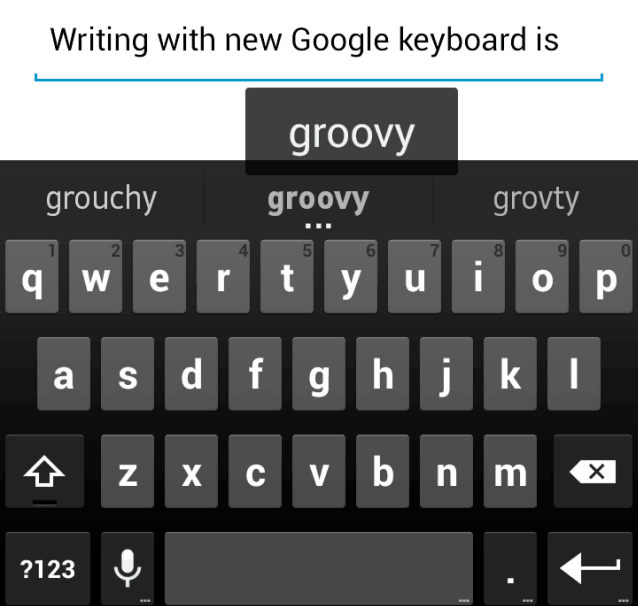 Next, you’ll be making sure that the new Google Keyboard is your active input method. After you’re done with this last step, your new Google Keyboard is all set up and you’ll get a confirmation message which will inform you, looking like the one in the screenshot below. If you’re using a different language than the one your phone uses, tap Configure additional languages and add the language you want. Since the keyboard is a predictive one, it’s essential that the appropriate dictionary is selected. With this last step out of the way, you can go ahead and enjoy the new keyboard. As you can see, it’s not very different from the old version in terms of look. The first thing you’ll notice is that the trail your finger leaves when you swipe to write a word is no longer blue – Google has used grey for it and it seems less distracting to me. Apart from that, prediction seems to work very well. You can also type words without taking your finger off the screen. Just move your finger across the space bar when you’re done with a specific word. 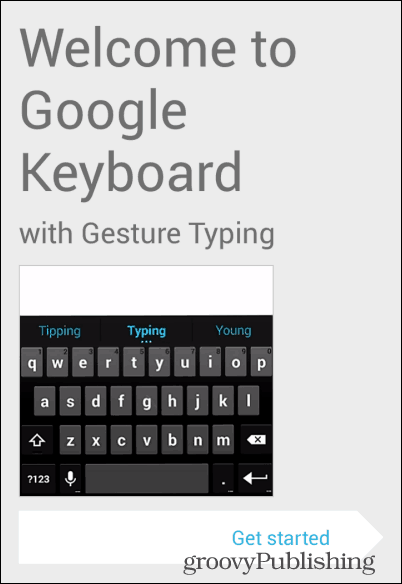 The new Google keyboard also hides a feature a lot of users like and which was only available to users of Android 4.2 and up until now – Emoji. Enabling Emoji is quite simple – just long-press Enter on the keyboard, then click the little smiley icon that comes up. 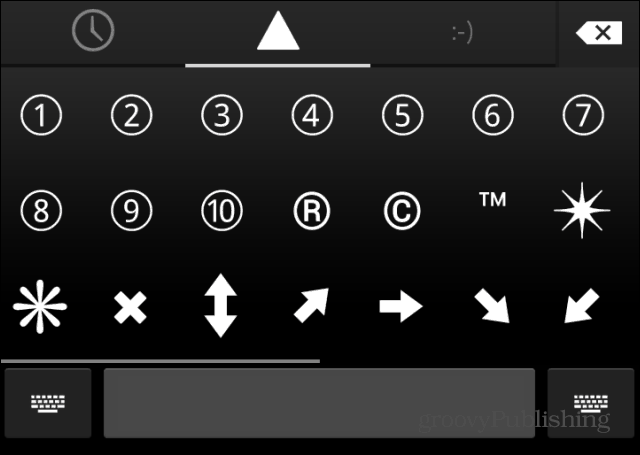 Unfortunately, the full, colored emoji keyboard is only available to Android 4.4 users. Even so, you’ll be able to use some black and white emoji, which is better than nothing.